The Maltese Islands are an ideal place for people wishing to explore and discover the existing art treasures, history, archeological sites and natural beauty that is out of all proportion to their size. 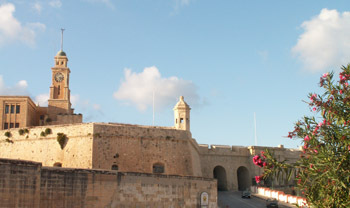 However Malta is also extremely well known and loved by sun worshippers who wish to spend their holiday in a uniquely friendly environment. Malta is an archipelago of islands about halfway between Sicily and North Africa. Set in Mediterranean Sea, the Maltese islands are the most southerly European country. The archipelago consists of five islands: Malta, Gozo and Comino, together with two other uninhabited islands Cominetto and Filfla. The total area is approximately 316 sq kms. The strategic position of Malta the islands a stone of conte ntion. Involved in Malta's history are people from the Stone-Age and Bronze-Age, Romans and Phoenicians, Arabs, Normans and Carthaginians, Castilians, French and British. Malta finally became independent in 1964.